Built in 1986 and converted in 1997, this shallow-draft ice-class tanker currently carries two segregated grades as cargo – diesel/fuel and sewage/treated water – and has acted as a floating storage unit at the Kashagan field development since 2008. 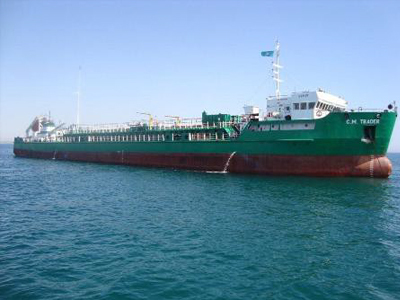 Carries around 2,000 dwt at 3.5m draft. Maximum cargo is 2,721 dwt at 4m.